We all know by now how hot in can get in Texas. Some people may worry that whatever they may be storing in their conex container is going to get ruined in the brutal Texas sun. 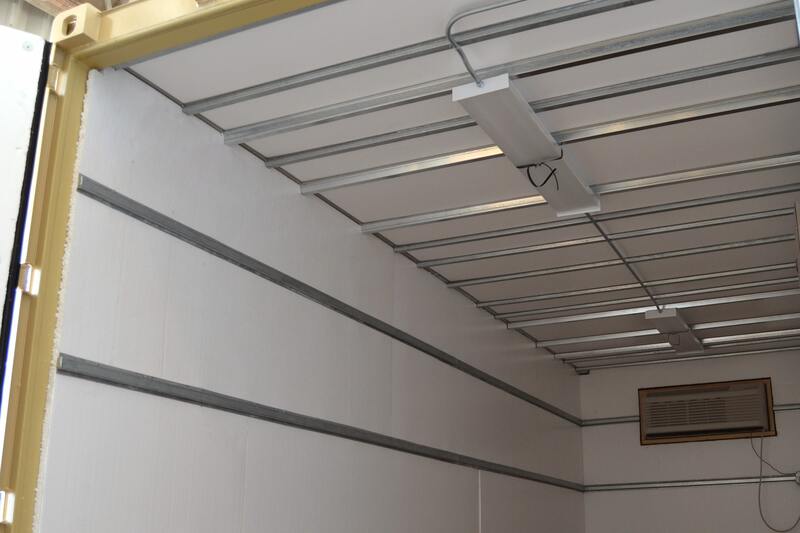 At Falcon, we use 1" foil-backed rigid foam insulation (3R rated) attached to the interior walls. We can also install paneling over the insulation, or add any other modification to the container, including and AC unit, windows, doors, etc... Just ask, and most likely we have done it.